Remember when I started my 5 o’clock Friday series? I think it’s time to get back into that and start sharing drink recipes every now and again! 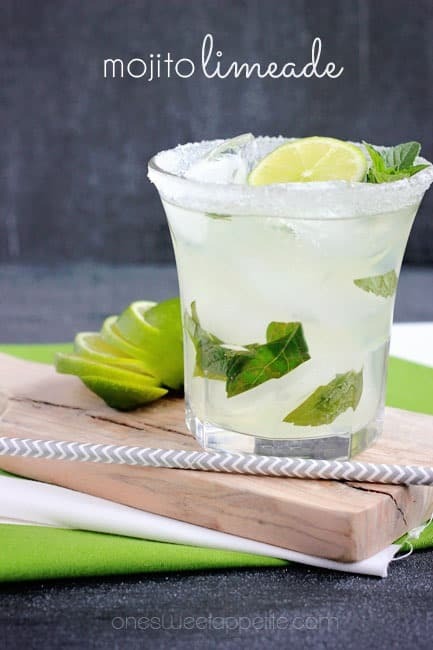 What better way to break the ice then to use up some of my overgrown crazy mint plant (er… weed) and make some yummy mojito limeade?! With the help of Mr. Bobby Flay of course! That’s right… I did it. I took a little lime goodness, mixed in some mint, and poured it into a sugar rimmed glass. Before we move on I need you to make a decision. 1. Do you want a kid friendly drink that’s alcohol free? 2. Are you looking to booze up your life? Start by boiling your 2 cups of water with the 2 cups of sugar until fully dissolved. Remove from the heat and stir in your lime zest with the 1/2 cup mint leaves. Cool to room temperature, strain, and refrigerate. 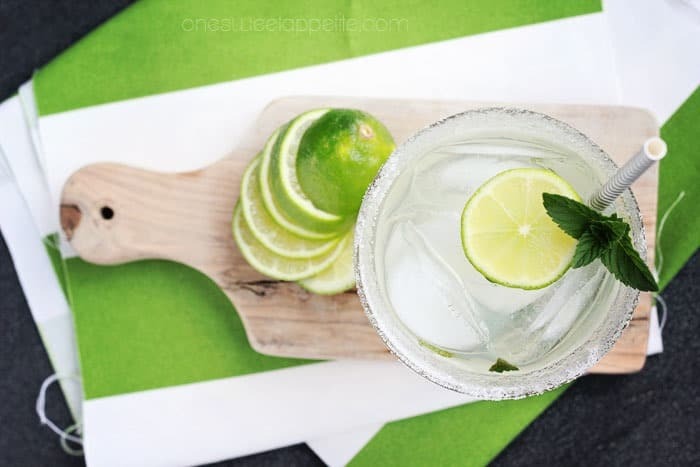 Drop your lime wedges into the bottom of a large pitcher. 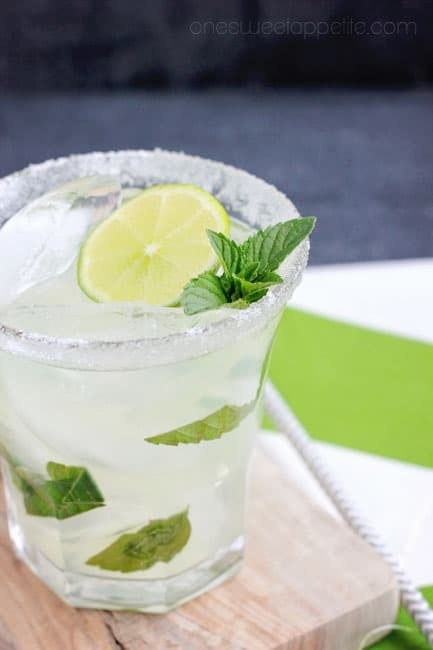 Stir in your remaining mint leaves, 1 cup of your premade syrup, rum, and lime juice. 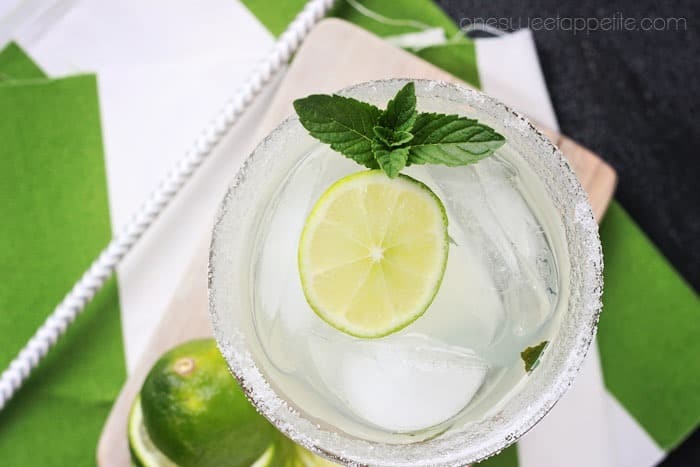 Top with your club soda and enjoy! 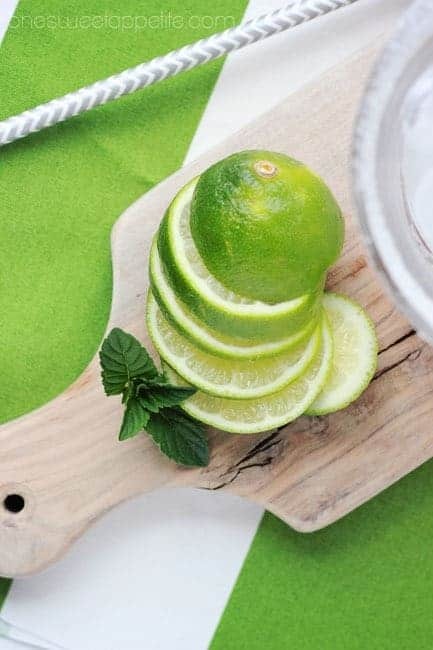 Keep a hand full of sliced limes and mint for garnish. I love these cute paper straws that I found at Target. They have that cute chevron pattern that keeps going in and out of style and the grey looks pretty against the greens in the drink. Or you can be like someone I know and boycott the use of paper straws all together. Apparently their pretty addition to a party can’t outweigh the soggy mess they become when you leave them sitting in a drink for too long.